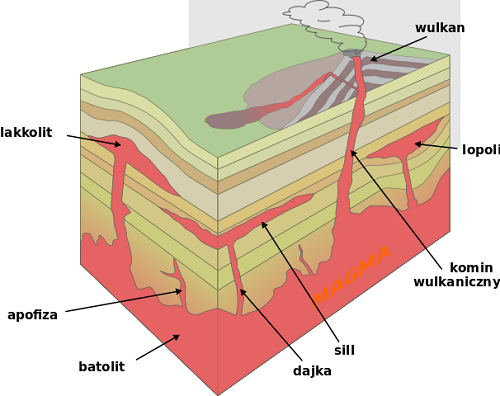 “Dyke” and “sill” are geological terms used to describe an intrusion, usually a mass of igneous or volcanic rocks that have forcibly entered, penetrated, and embedded into layers of another rock or landform. Dykes and sills are often associated with volcanoes, though they are not exclusive to that particular landform. As intrusions, both dykes and sills are igneous rocks that were left or a result of crystallization of molten magma flow that exists beneath the Earth’s surface. They are naturally occurring in nature and considered as “foreign” rock in relation to their surrounding rock environment or form, which is “local” or “original” rock. They can be injected into existing cracks in the bedding plates or erupt as a pressure or force from a particular point of origin. Dykes and sills “intrude” due to the pressure, stress, and deformation from the surrounding rocks or beneath the Earth’s surface. It is often in a molten or unstable state when it “intrudes” into another formation and hardens as it cools down over a period of time. The main forms of dykes and sills are magmatic and sedimentary. Compared to the rock that they intrude on or cut, dykes and sills are often slimmer or less thick. They are also considered wider and younger in age compared to their surrounding rocks. A dyke (also spelled as “dike”) is a mass of rocks that intrudes on or cuts across two layers of another rock or landform. A large number of dykes is called a dyke swarm. Dyke swarms are a common occurrence in the creation of dykes and usually consist of hundreds of dykes. Dykes can be classified as vertical, nearly vertical, or steep in nature; their creation is dependent on the consistency of pressure that originates below. The usual classification of dykes can be diabase, basaltic to granitic, or rhyolitic, but other forms like pegmatite dikes and aplite dikes also exist. Dykes are classified as discordant intrusions – they are not parallel but run across the preexisting land- or rock form. On the other hand, sills are formed in the same way as dykes, but their direction is different. Dykes are created in between and parallel to their surrounding bedding plates. Meanwhile, sills are often uniform in orientation since the surrounding rocks can give consistency to their form. However, they can also be non-uniform in appearance in terms of color and direction. Sills are usually composed of medium-grained rock and often contain certain rare types of ore deposits in their formation. As an intrusion, a sill as a body of rock is concordant because it is parallel to the original rock or land from. 1.Dykes (or dikes) are igneous rocks that intrude vertically (or across), while sills are the same type of rocks that cut horizontally (or along) in another land or rock form. 2.Dykes are discordant intrusions, while sills are concordant intrusions. 3.Dykes and sills form due to pressure, force, and stress from one point of origin. Dykes form when the point of origin is beneath the forming dyke, while sills are formed when the starting point is either on the left or right side. 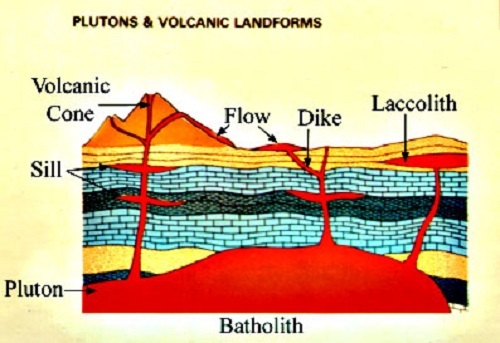 4.Both dykes and sills can be magmatic or sedimentary in nature. They are also slimmer, younger, and wider than their surrounding rocks or plates. Dykes and sills as intrusions often have a different color than their surrounding rocks. 5.Dykes are easier to distinguish, as the intrusion is evident between bedding planes and rock, while sills can be harder to identify since they exist parallel to the planes and rocks. Only proper testing and discoloration can state whether a plane is a sill or part of the original rock formation. Celine. "Difference Between Dyke and Sill." DifferenceBetween.net. July 28, 2017 < http://www.differencebetween.net/miscellaneous/geography-miscellaneous/difference-between-dyke-and-sill/ >. Good and nice explanation this is very useful to us tq poster.